Will CycleBar become the Pure Barre of indoor cycling? The boutique fitness boom created plenty of franchise fury: Pure Barre, The Dailey Method, and Barre3 in the barre world; OrangeTheory and F45 for interval training; Modo Yoga for yoga. But despite the fact that most would give SoulCycle at least partial credit for creating the entire industry, an indoor cycling franchise hasn’t made a major impact yet. CycleBar wants to change that. The first location was opened by fitness enthusiasts Bill Pryor and his sister Alex Klemmer just outside Boston in 2004, and there are now 22 studios across the country in cities (and many suburbs) like New Orleans, Chicago, Denver, and Dallas. 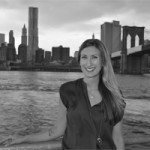 The franchise operation (think lots of independently owned locations that are licensed) is on pace to hit 100 studios by the end of 2016, and “we’ve sold about 237 locations, which will all be open by the end of 2017,” says president Heather Harris. Those include in major markets like Los Angeles, San Francisco, San Diego, Philadelphia, Austin, and two set to open this summer just outside of New York City, in Bergen County, New Jersey. 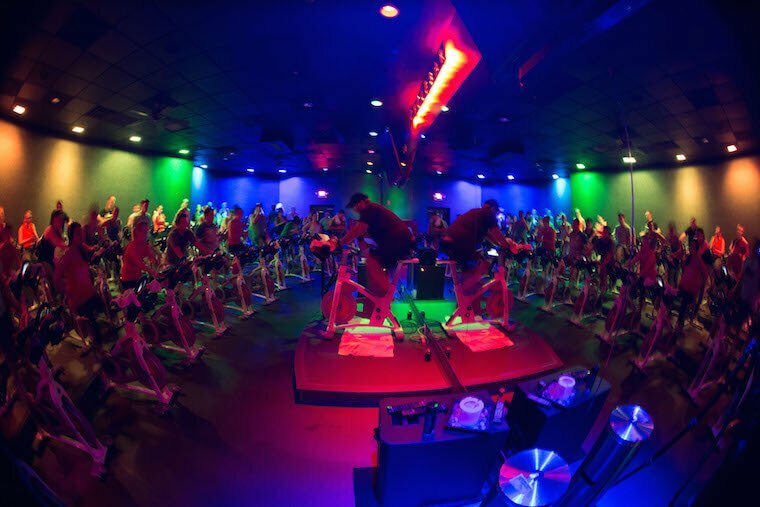 So how does the concept compare to the spin classes you already know and love? CycleBar combines familiar elements in a new way, incorporating video screens into a stadium seating set-up, a focus on stats for the performance-obsessed, and a music-driven ethos. In other words, after class, you can get both your stats and the instructor’s playlist emailed to you. “Everything we do at CycleBar is geared toward building energetic communal experiences. We want it to be a shared experience, and one you’re likely to tell someone else about,” says creative director Pat Morgan. Of course, “community” is a bit of a meaningless buzzword in boutique fitness, with every single brand touting the strength of theirs, but CycleBar’s laser focus on giving back adds a unique aspect. Every franchise has an hefty annual charity goal they’re asked to hit via three to five charity rides every week, and the overall company has a partnership with the American Heart Association called CycleNation, which is raising funds for the non-profit and awareness about exercise’s impact on heart health. Morgan says the company also gives their instructors (called CycleStars, of course) more creative control over their own classes, which adds variety and excitement. “We take these really interesting, crazy, fun individuals…and we’re very much about letting the instructor’s persona and what they’re into motivate the class,” he explains. Finally, the company says it’s making indoor cycling accessible in a way that the popular cool-kid brands are not. “Up to this point, from a competitive standpoint, it has been more of an exclusive experience,” Morgan says. “I think what CycleBar is doing is democratizing that experience and making it available in new places.” To that end, prices tend to be lower than other major players (it varies all over the country but for comparison purposes, in Raleigh CycleBar is $20 for a single class, compared to Flywheel’s $25), with water, shoes, and other amenities included. “We want to bring that premium, energetic feeling to cities across the country,” Morgan says. By the sound of it, looks like they’re on their way. New to spinning? Here’s how to play it safe. Meanwhile, CrossFit called itself the Starbucks of the workout world and Orange Theory has a goal of opening up a studio every single day this year.